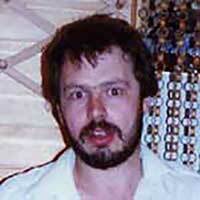 Tuesday 10th March 2015 is the 28th anniversary of the murder of my brother Daniel Morgan. At 2 pm on that day, I shall hand-deliver an open letter addressed to Rupert Murdoch personally at News Corp’s London offices at 1 London Bridge Street, SE1. The letter will be published simultaneously on www.justice4daniel.org. My brother Daniel, a private investigator, was brutally axed to death in the car park of a pub in south-east London in 1987. Despite five police investigations, nobody has ever stood trial for his murder. In March 2011, the prosecution of five men, including a former police officer, collapsed at the Old Bailey after police failures in the disclosure of evidence. Following the collapse of the prosecution, the Metropolitan Police admitted that the first inquiry into Daniel’s murder had been “tainted by police corruption”, and that they were responsible for a repeated failure to confront that corruption over the subsequent decades. We believe that the police criminality in and around the murder extends to the highest echelon of the Metropolitan Police. In July 2002, after a witness appeal on BBC Crimewatch, the investigating officer on the fourth investigation, Det. Chief Supt David Cook, was placed under surveillance by a group of journalists/photographers from The News of The World. His home and family were photographed and he was followed as he drove his young children to school. Absurdly, The News of The World sought to explain this away by saying that they believed David Cook was “having an affair” with one of the Crimewatch presenters who happened to be his wife Jacqui Hames. She told the Leveson inquiry: "I believe that the real reason for the NoW placing us under surveillance was that suspects in the Daniel Morgan murder inquiry were using their association with a powerful and well-resourced newspaper to try to intimidate us and so attempt to subvert the investigation." Two of the people involved in setting up the surveillance, Greg iskiw and Glenn Mulcaire, have since been convicted of criminal offences. They were amongst a number of senior NOTW journalists, executives and associates who had long-standing and highly questionable commercial relationships with two of the suspects charged with the murder in 2008 (Jonathan Rees and former DS Sid Fillery). who has information about Daniel’s murder. employees - past or present - who can provide information on the connections between News of the World, police and private investigators, to come forward with information. 020 7729 1115 or r.bhatt@bhattmurphy.co.uk.